I am in love with redwork! Only I use other colors, too, just don’t know what you call it then..blue work? Green work? I like to play with my threads and fabric to see what weight to use. Currently I am using Aurifil 12 wt. It sure is hard to find, though. Everybody carries 50 wt. Sewing thread but not the heavier thread for embroidery. 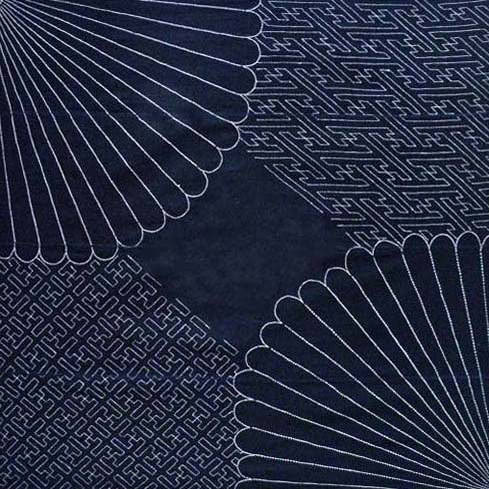 Love the Sashiko. but would not buy a machine as I would not make that much use of it. I however enjoy doing hand work whilst I am at Chat and Sew. For machine embroidery, I use the Robison Anton thread. It’s what my local quilt shop favors. I use DMC floss for hand work. I like all types of embroidery, but, I prefer to use 100% cotton. Cotton will behave in the way you want it to. Aurifil 12 is a great choice for hand and machine embroidery. In Australia, Bohin needles are a great choice of quality needle. usually in a size 10 for hand work. I am loving machine embroidery. I usually use the poly threads on baby items. The Sashiko is very cool, but right now I’m really into redwork. I haven’t done much embroidery and am quite a novice, but I love trying new things! I’m a hand embroiderer. I really only use DMC floss. Nothing else is as accessible, but I love it. I received an embroidery machine for Christmas and purchased some sashiko patterns to use for quilting. I absolutely love Robison Anton thread, although I admit I haven’t tried any other brand. 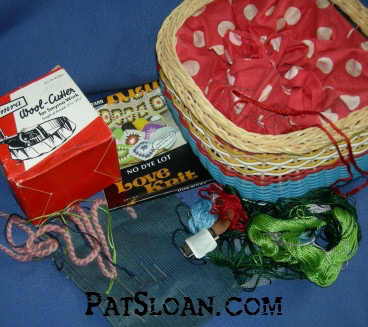 I learned to embroider when I was very young, 8 or so, and still have the old chocolate box I used to keep my supplies. I like basic embroidery and have just made a patchwork pillow with my granddaughter’s name on it. Pat this is an awesome give away and one that would really make me ecstatic to win. I love Aurifil 12 wt for embroidery and have been having a great time with the BOM they have going this year. I love embroidery and it is wonderful to get back to it after years of not doing it. I also am enjoying red work and have a project to do in blue work when I finish the the one I am working on now which is the Crab Apple Hill Winter Wonderland. I am using size 10 Richard Hemming & Son Milliner’s needles for my embroidery. I like the longer needles and they are easy to thread with the Aurifil 12 wt thread. I love to use Aurifil 12 wt for my embroidery projects. I love red work. The last I did I used Sulky blendables. That looked great. I haven’t tried Aurifil 12 wt so to win would be wonderful. Two of my grands got to see the shuttle fly over VA/DC. They go to school in VA. What a history lesson. I love that you posted about all three ways. I’ve belonged to an embroidery group four years and each year we choose a project we all do but on our own. I’ve used DMC and Cosmo mostly. I’ve heard of but not tried Valdani. I’m so happy that Aurifil has the heavier thread. I can’t wait to try it. I love their thread and that’s what is on my machine now. For needles I’ve tried John James and I think their called Kimbal?. I’ve even tried the no name ones. It’s frustrating for me to find a nice needle that has a big enough eye for the pearl cotton. Any suggestions? Such a beautiful box of thread! Come to mama! hehe. Thank you and Aurifil for a generous giveaway and a chance to win. Lately I have been doing hand embroidery. 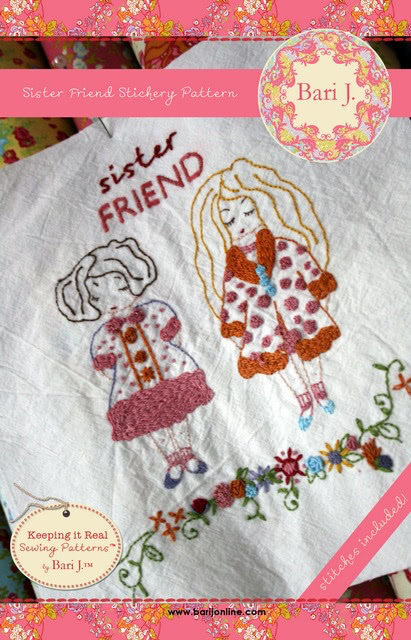 I have not yet tried machine embroidery but it sure looks fun! The Sashiko colors look so inspiring! What kind of thread to use for embroidery? I’m italian and I HAVE to use that thread! My favorite type of embroidery is machine embroidery. It’s both fast and beautiful. Plus, there are many fabulous designs out there to choose from. Just looking at those Aurifil threads makes me watery eyed. I heard from them and started to use them when I was making your Meadow Breeze and it’s safe to say I never looked back. I love love love Aurifil and am slowly but surely building up my collection. I’m an avid redworker too and you know what I use for embroidery? I use Aurifil cotone mako # 12 wt. 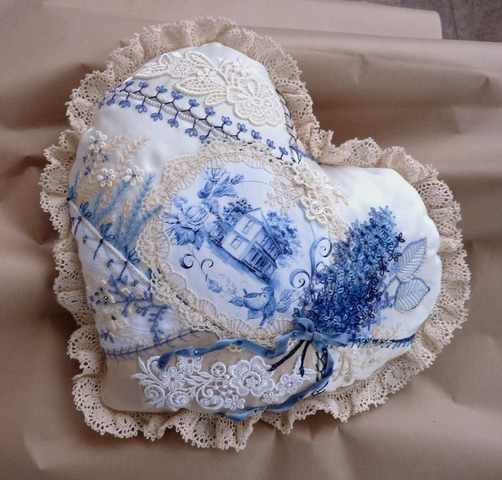 It is awesome for embroidery. You have a good Sunday, hug from Anita. WOW beautiful threads. I would LOVE to put those to good use. My aunt gave me a table cloth to embroider and I have put it off for about 3 years. This would definitely jump start this project ! ! ! ! ! I really love the Sashiko look and have been wanting to give it a try myself. My embroidery has been done with the DMC threads for the most part. I guess I should broaden my horizons as I did not realize that Aurifil made embroidery thread. 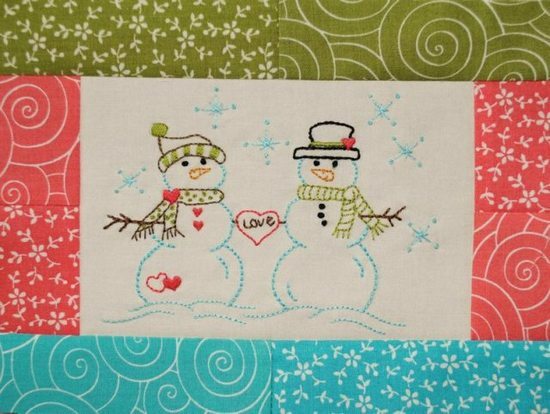 My friend made a Winter quilt with snow scenes in Bluework.Is beautifull.Love the Aurifil thread. I haven’t hand embroidered for a long time. I’ve been wanting to try some redwork just to have something to do while I’m sitting and watching TV. I like to do traditional surface embroidery the best. I use DMC cotton & metallic floss, as well as some different brands of overdyed floss. I use a tapestry needle, size 24, I guess. I think they are just Prym-Dritz. Not much available where I live. I need to buy Aurifil online, as no place here sells it. Even Walmart is carrying mostly 100% polyester now, not the nice all-cotton of times past. I could surely use that box of Aurifil thread! 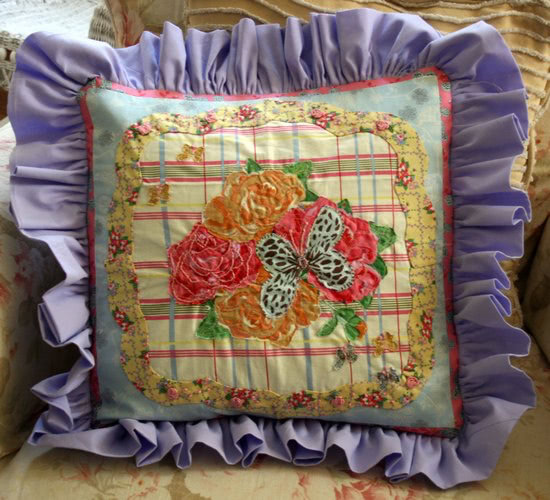 I love Silk Threads and Brazilian Embroidery and Stumpwork. I love the gold John James Needles and use Tapestyr #26. Thanks for the contest! I just invested in an embroidery machine. 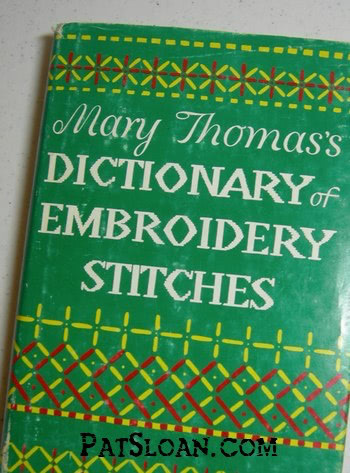 I am still attempting to learn about thread. Superior has lots of information available. For hand embroidery, I am a Valdani snob! I cannot say enough about this thread: colors, variegations, weight, ease of use! Love it, love it and love it. Most recently, I finished a BOM that called for a thread called Silken Pearl. OMG!!!! I think it is my new favorite and the bullion stitch should be placed on every open corner!!!! LOL! I love to do Sashiko as an accent on my quilt projects. 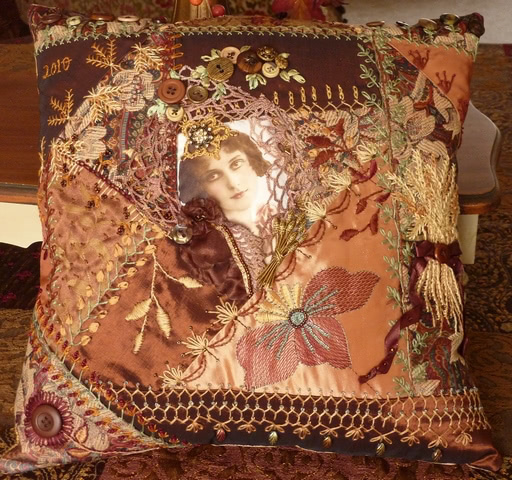 I love counted cross stitch and redwork the best and I usually use DMC floss. 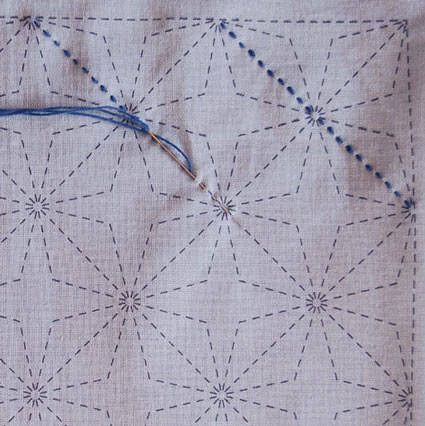 I am looking forward to trying Sashiko soon because I love the patterns. 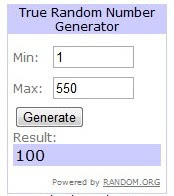 Thanks for the chance to win the beautiful thread! I loved all the examples in the post. Aren’t the sister/friends adorable? I usually use DMC floss to outline my quilted wall hangings. A few years ago my husband bought me a book on Sashiko and I made a small wallhanging. Unfortunately I don’t remember what thread I used, but it was a fairly heavy-weight cotton. I still love the results. I also do counted cross stitch projects and use DMC floss. The Aurifil thread has such beautiful colors and would be great to win! This is the first time I have visited here. I’ve done embroidary off/on for many years. Usually I use DMC floss. Recently I started a quilt that uses crayons and floss provided by Crabapple Hill. It’s varigated and amazing. Would love to try some of your threads also. I use the DMC floss, it is beautiful and durable and has been on the market since I learned to embroider. ■What is your preferred size and brand of needles to use for embroidery? I love to hand embroider, and have finally found a needle that I love. I use size 7 John James. They are perfect and do not bend like some of the others i have used. I would love to try Arfil thread on my embroidery machine though. I seldom use it but would certainly love to start. 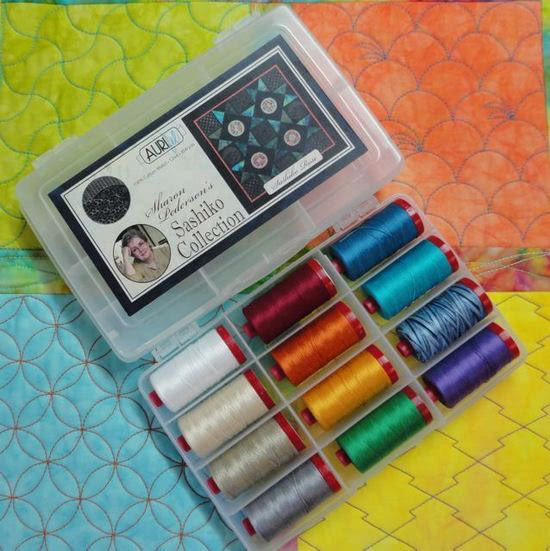 I would love to try the Aurifil for the hand quilting things in my projects. I love to do redwork. 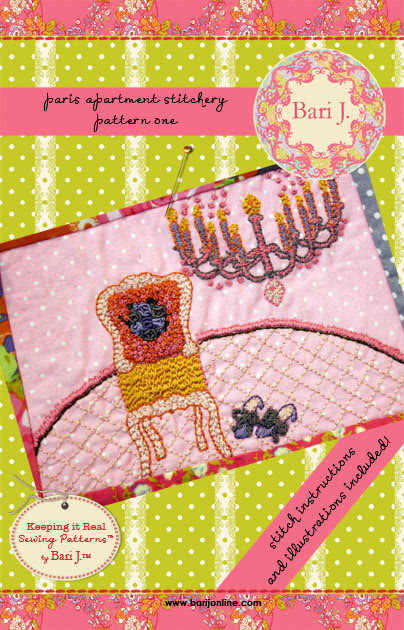 Its easy, one color, many, many, choices of patterns, projects, and very relaxing. You can prepare small project kits to take with you when traveling, going to doctors/dentists/hospitals, and sew till you drop. Much better than taking a pill to relax. No side effects. I mostly use DMC floss, simply because that is what I have lots of. But I’ve always been interested in sashiko and keep wanting to try it. I have a few Aurifil threads which I use for hand piecing and also for appliqué, and it is by far the best thread I have been able to find. So I’d really like to win their threads!!! Aurifil is my fave! I discovered it a few years ago, so much less lent in my machine and it just glides through my fabric, I don’t use anything else. I like to do redwork and “regular” embroidery as well as counted cross stitch. Preferred thread for all? DMC. It’s what I started out using and I still love it for the colors and the sheen. Good stuff! I like to use size 14 schmetz embroidery needles. They seem to be the correct size for the simple embroidery that I do. Love your work and can’t wait to see your new fabric designs. I wanna Sashiko! 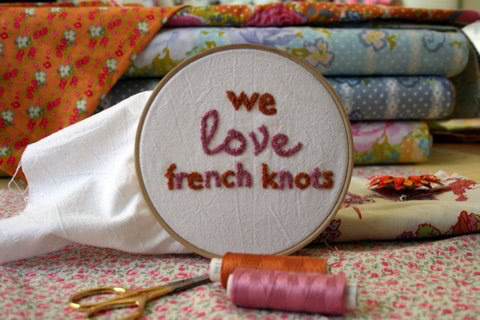 Sounds like fun and I can see lots of ways to use this stitch….. especially if I had the thread! Beautiful….someone just gave me a sashiko kit….some new aurofil threads would be a nice addition! My daughter bought an embroidery machine a few years ago and I was never really all that interested. I’m a quilter and last month I needed to add a little something to a quilt that was a gift. My daughter suggested machine embroidery, now I’m hooked. I love all the variety that machine embroidery has to offer. I am still playing with different threads, so I don’t really have a favorite, yet. I’ve started a “thread stash” that I am sure will rival my fabric. DMC is what I’ve used. 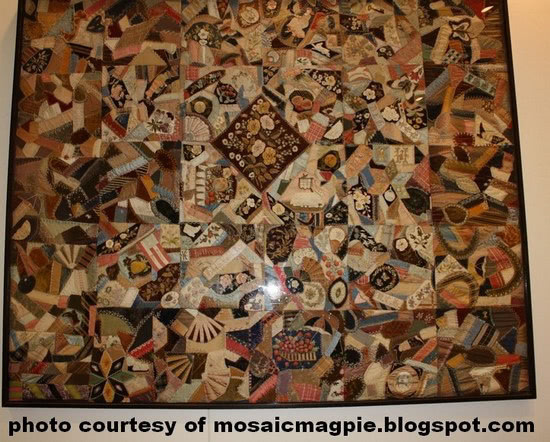 I love to make crazy quilts and use many different kinds of embroidery thread. DMC is most easily found, but I have collected many threads at quilt shows and in classes over the years, including hand dyed threads. I have also hand embroidered a Christmas quilt, a Noah’s Arc baby quilt, and am currently working on embroidering some of my grand daughters pictures onto quilt squares. Hand work is most relaxing for me and somehow it feels more creative. I have a machine that embroiders but I haven’t gotten into that. So many things to do, so little time. Because I’ve done a lot of crazy quilting I have heaps of different threads. I must admit I haven’t used Aurifil, but would like to have a go with it. I have a lot of DMC thread that my mum passed on to me, she did a lot of cross stitch, but I like to use something a bit different, a bit unusual. My favorite type of embroidery is the basic embroidery, but I admire the crazy quilt embroidery and sashiko that many people do. Those are certainly on my bucket list. 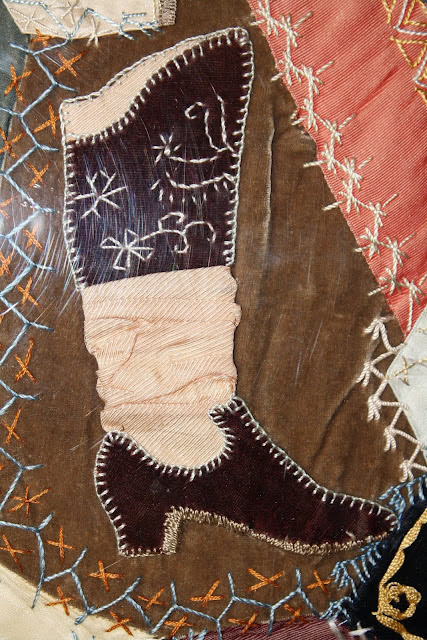 I did lots of embroidery as I was growing up in the 50s and 60s. A few years ago I bought a home sewing machine that also does embroidery. 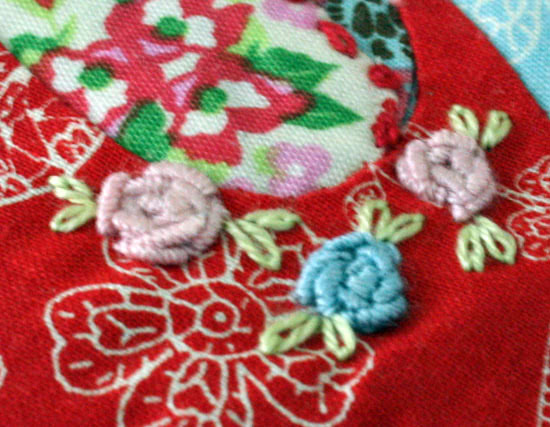 Now that I’ve started reading quilting blogs, my interest in hand-embroidery is being rekindled! I saw a sampler recently and loved the look so have the pattern ordered. I usually always used DMC cotton embroidery thread but am thinking I may go with silk thread for this sampler. I primarily use DMC floss and pearl cotton. I’ve recently purchased Valdani #12 Pearl Cotton and love it! I do have access to hand dyed threads that are fun and beautiful. Thank you for showcasing the three styles of thread work! 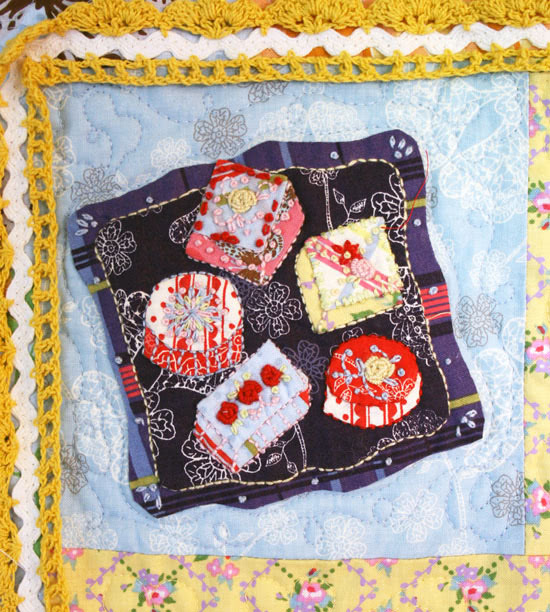 Shashiko is on my bucket list as well as crazy quilts. I was given about 50 skeins of Venous cottons as a B’day gift 5 years ago, lovely colours also a chart to convert to DMC. I do lots of stitcheries as they are my passion, incorparated in patch work, when I have the oppertunity to shop away from my little town I seem to purchase DMC cottons and have had very good results. I am looking forward to trying shashiko and aurifil as I have never heard of them until I read the above comments.